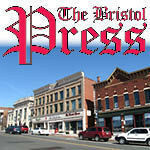 BRISTOL - Mayor Ellen Zoppo-Sassu encouraged people to support local small businesses today for Small Business Saturday. The Mayor said Small Business Saturday is “a day to celebrate and support small businesses and all they do for our community.” She encouraged people to shop at local establishments. Small Business Saturday was established in 2010, to remind residents of the importance of shopping local. The first event was sponsored by American Express, in partnership with the non-profit National Trust for Historic Preservation, Boston Mayor Thomas M. Menino and Roslindale Village Main Street. The holiday was promoted by American Express via a nationwide radio and television ad campaign. The success of Small Business Saturday has expanded into the U.K. based on the success in the United States. Posted in The Bristol Press, Bristol, General Business on Friday, 23 November 2018 20:44. Updated: Friday, 23 November 2018 20:47.